Do you use email marketing to promote your business to customers and prospects in Canada? If you answered yes to either question, read on. I’ve got something important to talk to you about. It’s called Canada’s Anti-Spam Law (CASL), and its mission is to destroy spam emails from within Canada. Consent from the recipient, either expressed or implied. Clear identification on the message (your business name and contact information). An unsubscribe mechanism – basically, a way for the recipient to inform you to stop sending them messages in the future. What’s the point of enacting these three rules? Simply put, it’s a bust on pesky, unwanted emails and text messages. And even if the promotional messages you send to customers don’t appear spammy you could be at risk for severe penalties, if you don’t follow the new rules. (Penalty information cited from Globe and Mail article “New anti-spam law ‘a big deal’ for small businesses” by Brenda Bouw, posted 24 March 2014). And, as of July 1st 2017, people will be able to use a private right of action against companies and individuals who aren’t following the rules (in the form of lawsuits). No business on the up-and-up wants a multi-million-dollar fine or unnecessary legal headache. So business owners are going to have to make sure to cover all the bases. Does the new law affects my business? If you send commercial electronic messages to Canadians, you’re involved. A commercial electronic message is “any electronic message that encourages participation in a commercial activity, regardless of whether there is an expectation of profit,” explains the Government of Canada posting. Email newsletters sent your existing customers. Messages that share a coupon code, promotion or sale. Texts, tweets and email messages that inform prospects about products or services. Sound like something you’ve sent a customer? If yes, it’s time to think about preparing for the new law. Let’s start with obtaining consent. While businesses do have a three-year grace period after July 1st 2014 to verify and confirm consent from existing email recipients, they “can still only communicate with recipients with whom they already have an existing business relationship,” reports professional services firm Deloitte. Moving forward, you’re going to have to ensure your recipients have agreed to let you send messages to them. Express consent – straight up asking recipients if it’s OK for you to send them messages. You do this when you’re not sure if you received implied consent from them in the past (via an opt-in form or email sign-up list). Implied consent – this is given through those opt-in forms and sign ups people fill out to receive news and information from your business. Pre-checked or pre-toggled boxes don’t count. The other two components of the law – identification and unsubscribe mechanisms – are a little bit more self-explanatory. Email service providers such as MailChimp and Constant Contact make it easy to add these elements to your messages. If you require assistance on building online consent forms for your web site and collecting databases of subscribers, contact Navigator Multimedia Inc and we can provide a quote for your specific requirements. 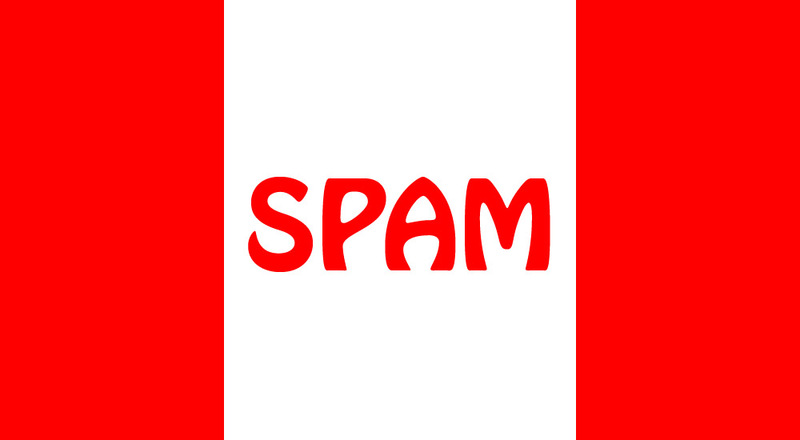 Canada’s Anti-Spam Law shouldn’t cramp your email marketing style. So long as you have consent from your recipients, clear display of an opt-out mechanism, and company identification on each message, you’re good to go. Email marketing is the largest driver of conversions for ecommerce; for online retailers, that’s reason enough be cool and play by the rules. Questions? Comments? Give us your thoughts in the comment section below!